Crossing the Bay of Bengal uses the sea as a lens to study nationalism and migration. It paves the path for new approaches to political phenomena. I grew up in Chennai, at the edge of the sea where our lives revolved around the Bay of Bengal. It was only when I moved away that I realized that I was neither at the edge of the sea nor at the edge of land — I occupied less than a smidgen. Imagine my surprise when I started studying political science and realized the extent of the Tamil nation – I had never felt part of any nation but when I visited Singapore and Kuala Lumpur, Nuwara Eliya and Bali, the places felt familiar. In discussions about India’s foreign policy, many of us bemoan the continental mindset that plagues our external affairs. India spends much of its resources on the subcontinent with few returns. Our shores remain open but inward-looking. Our foreign policy boasts of the legacy of non-alignment, of Asian relations, of Look East 2.0 and our extended neighbourhood. But these are concepts and constructs which are young and remain largely rhetorical. Too often, Asia is treated as a gigantic landmass and various attempts are made to define it as a geographic region. Whether you call it Asia, the Asia-Pacific, the Indo-Pacific, or Indo-Pacific Asia, most states in the region are young, having been consolidated into modern nation-states only after colonialisation. But as a quarter of the world’s population lives in countries along the Bay of Bengal, they were globalized long before term was coined. 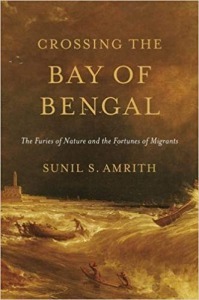 Sunil Amrith’s book, Crossing the Bay of Bengal: The Furies of Nature and Fortunes of Migrants, narrows its lens on the particular sea, so integral to the history of the states that border it. 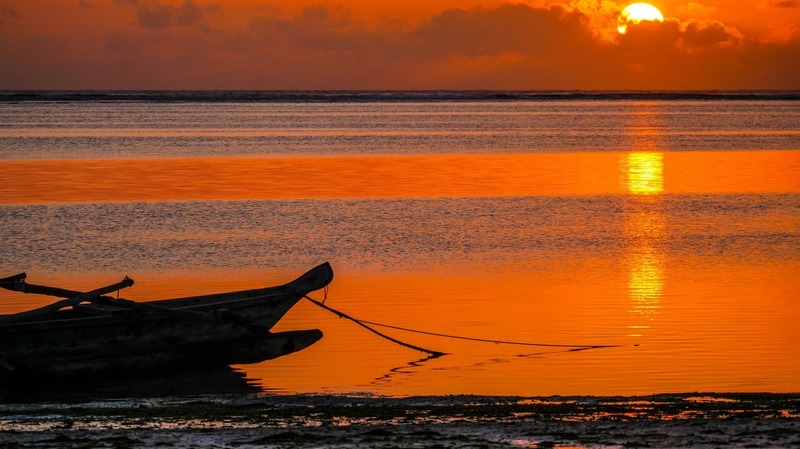 Amrith notes that even within the study of the Indian Ocean, the Bay of Bengal is often overlooked even though it closesly linked the people who depended on it. He looks at how the British took over cosmopolitan port-towns which bustled with life, between the 15th and 17th century but no longer remain relevant. Picture the Bay of Bengal as an expanse of tropical water: still and blue in the calm of January winter, or raging and turbid with silt at the peak of summer rains. Picture it in two dimensions on a map, overlaid with a web of shipping channels and telegraph cables and inscribed with lines of distance. Now imagine the sea as a mental map: as a family tree of cousins, uncles, sisters, sons, connected by letters and journeys and stories. Think of it as a sea of debt bound by advances and loans and obligations. Picture the Bay of Bengal even where it is absent – deep in the Malaysian jungle, where Hindu shrines sprout from the landscape as if washed by the sea, left behind. There are many ways of envisaging the Bay of Bengal as a place with a history — one as rich and complex as the history of any national territory. The book is a monolithic work. It weaves together official accounts, records, government statements, leaders’ speeches, books, diaries and journals, old newspapers, new articles and oral histories of a people who have lived across the region. The sea is the all-pervasive entity. Amrith invokes nostalgia for a more globalized time when walls were not as high and the world views not as narrow. He also investigates the condition of migrants after British rule. Issues such health, housing, working conditions and weather made their lives wretched. Avoiding climate change determinism, he still points out how the Little Ice Age contributed to droughts and the upsurge in slave trade and how disasters in this region are bound to increase with global warming. The book is filled with interesting tidbits: Tome Pires had heard 84 languages on the streets of Melaka (Malacca). The Straits were built on the backs of convict labour during British empire. The Rebellion of 1857 not only ended the rule of the East India Company but separated the previously interconnected Straits and India. The synchronous famine in the 19thcentury is the reason why rural labour stopped being tied to land. It’s also why Asia industrialised rather than modernized. Amrith brings out Benedict Anderson’s hypothesis about imagined communities by looking at early publications in many of these . It is interesting to see how media, particularly print, worked at the ocean’s crossroads, amalgamating cultures and tongues. After the world wars, blood and soil became the clarion calls for the basis of citizenship of new nations. Old familial ties had faded and new community links flourished. The recession of the Bay as a coherent region coincides with the cementing of South Asia and South East Asia as two separate regions with little in common. Area studies meant that that deep intensive connections that so significantly shaped their views were lost. The last vestige of economic integration was the rice trade that tapered off when the Green Revolution took off. Applying Amrith’s lens of migration to other historical events would have been an interesting experiment. The book does not cover protests against Chinese diaspora and the deliberate policy of the Nehru and Mao in asking the people to take up the citizenship of their country of residence. Nor does it cover Singapore’s quotas, fixed at the time of the nation’s birth. Even the more recent genocide of Rohingyas in Myanmar is a typical Bay of Bengal problem. But considering the volume that the book does cover, these are easily forgivable. Crossing the Bay of Bengal is a must read for anyone interested in the Bay of Bengal and the history of the countries around it. It has everything that good scholarship is supposed to have. 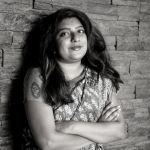 Hamsini Hariharan is the Associate Editor at Pragati. She is the host of the the States of Anarchy podcast. Her research interests include Chinese foreign policy, Asian geopolitics, and India's worldview.